Editorial usage only. Not for commercial use. 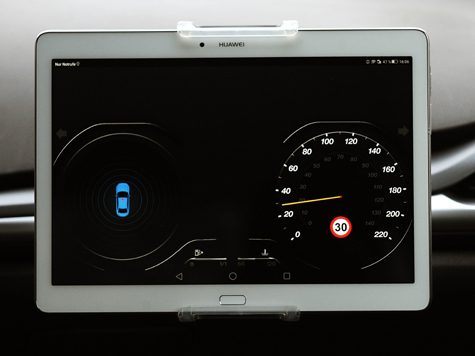 Image credit: UK Autodrive. 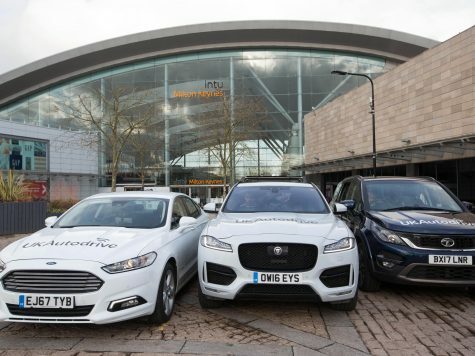 A Jaguar Land Rover vehicle equipped with connected car technology is flanked by Tata Motors European Technical Centre (TMETC) and Ford vehicles, both equipped with connected car technology, in front of intu Milton Keynes. 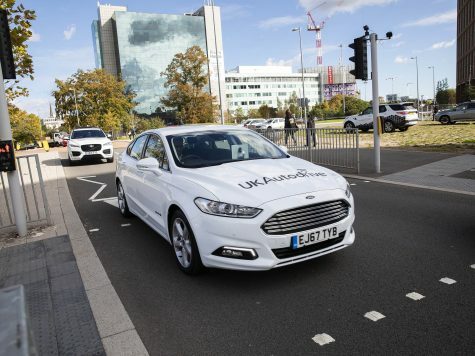 The cars began public road trialling on the streets of Milton Keynes in March 2018, as part of the UK Autodrive project – with all three manufacturers collaborating on the connected car features, whilst Jaguar Land Rover and TMETC separately develop their autonomous vehicle technology. 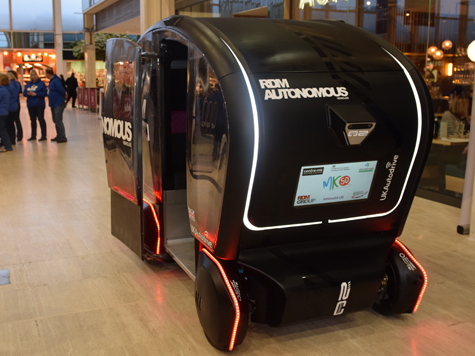 A Jaguar Land Rover research vehicle equipped with the company’s self-driving technology navigates its way through Milton Keynes centre, during the start of public road trialling in March 2018. 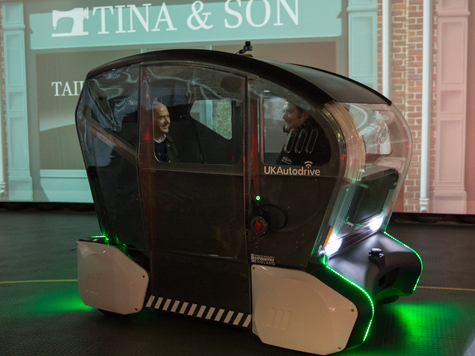 Jaguar Land Rover and Tata Motors European Technical Centre (TMETC) are both trialling autonomous vehicle technology in the city as part of the UK Autodrive programme, which also involves connected cars supplied by TMETC, Jaguar Land Rover and Ford. 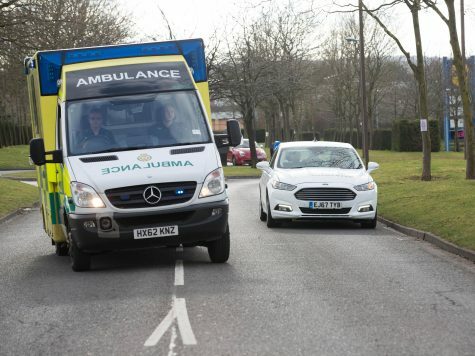 A South Central Ambulance Service vehicle overtakes a Ford connected car equipped with research technology that alerts the driver when an emergency vehicle is approaching as well as the direction it is travelling from, during a UK Autodrive project media demonstration in Milton Keynes centre during the March 2018 demonstrations. 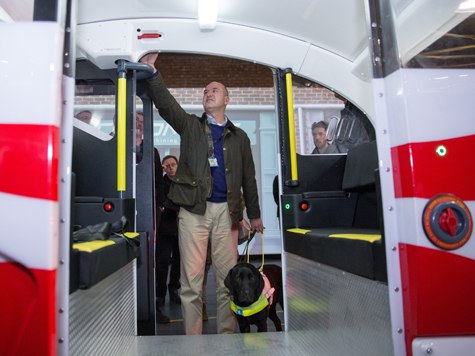 Guide Dogs for the Blind Community Engagement Officer Clive Wood (seated left) tries out a self-driving pod during a visit to RDM Group in Coventry on December 7th 2017. 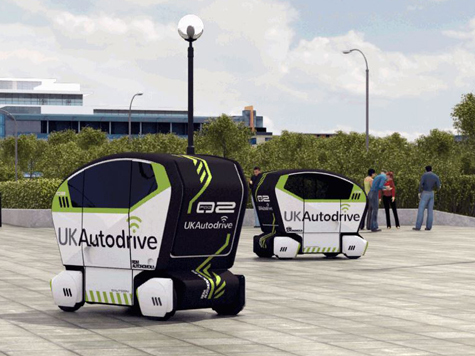 RDM are designing and building up to 40 self-driving pod vehicles for use in the UK Autodrive project, and working with Guide Dogs for the Blind to improve accessibility for the blind and visually impaired. 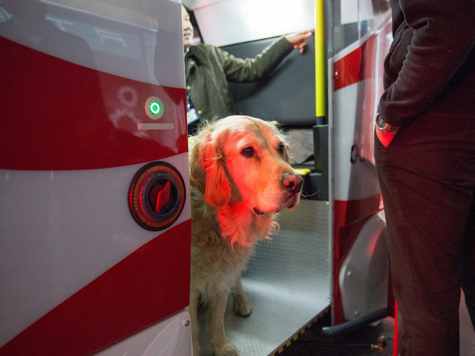 A guide dog from Guide Dogs for the Blind peers out from a self-driving ‘pod’ vehicle, during the charity’s visit to RDM Group in Coventry on December 7th 2017. 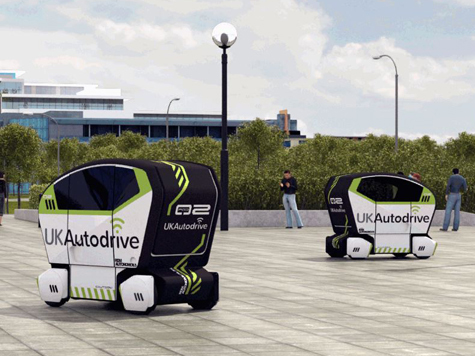 RDM are designing and building up to 40 self-driving pod vehicles for use in the UK Autodrive project, and working with Guide Dogs for the Blind to improve accessibility for the blind and visually impaired. 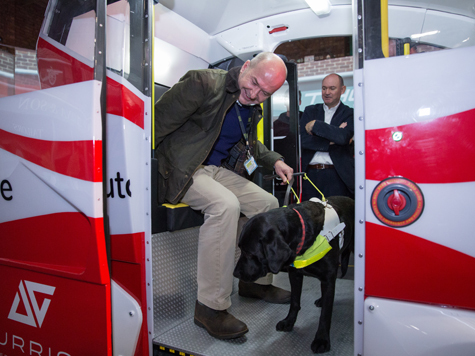 Guide Dogs for the Blind Community Engagement Officer Clive Wood tries out a self-driving pod (along with his Labrador, Winnie) during a visit to RDM Group in Coventry on December 7th 2017. 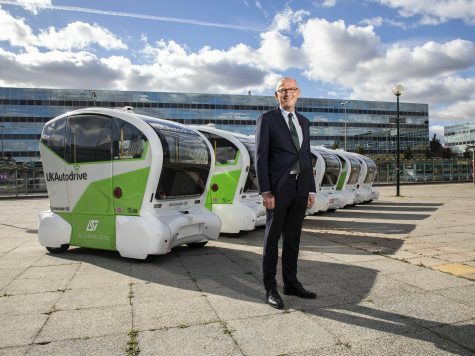 RDM are designing and building up to 40 self-driving pod vehicles for use in the UK Autodrive project, and working with Guide Dogs for the Blind to improve accessibility for the blind and visually impaired. 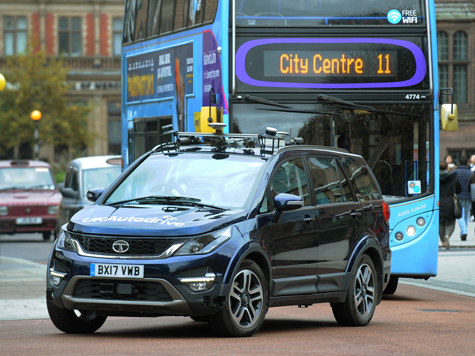 A Tata Motors European Technical Centre (TMETC) vehicle equipped with autonomous driving technology navigates its way through Coventry city centre during the start of public road trialling in November 2017. 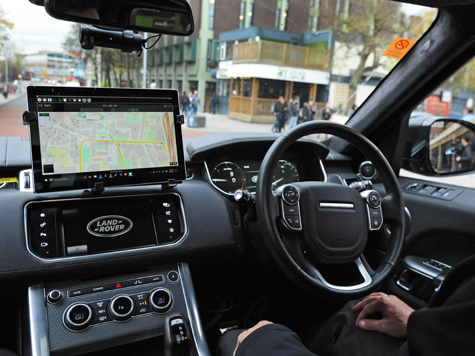 TMETC and Jaguar Land Rover are both trialling autonomous vehicle technology in the city as part of the UK Autodrive programme, which also involves connected cars supplied by TMETC, Jaguar Land Rover and Ford. Editorial use only. Not for commercial use. 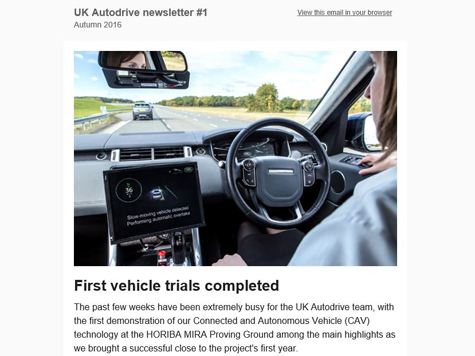 Image credit: UK Autodrive, Rui Vieira/PA Wire. 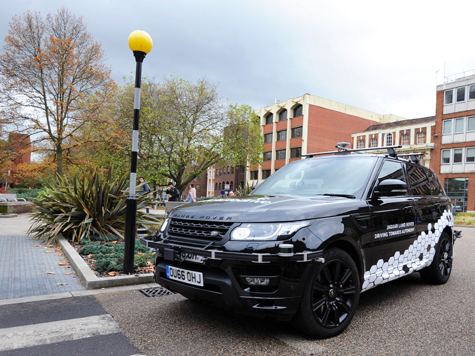 A Jaguar Land Rover research vehicle equipped with the company’s self-driving technology navigates its way through Coventry city centre, during the start of public road trialling in November 2017. 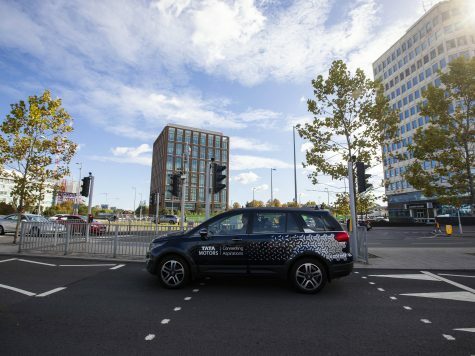 Jaguar Land Rover and Tata Motors European Technical Centre (TMETC) are both trialling autonomous vehicle technology in the city as part of the UK Autodrive programme, which also involves connected cars supplied by TMETC, Jaguar Land Rover and Ford. 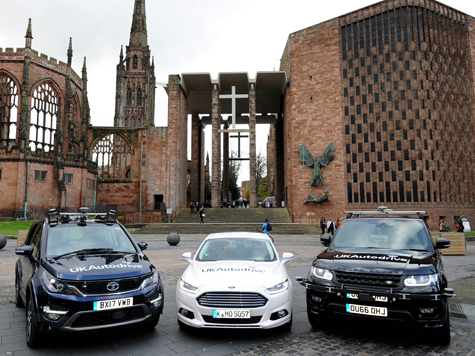 A Ford vehicle equipped with connected car technology is flanked by Tata Motors European Technical Centre (TMETC) and Jaguar Land Rover vehicles, both equipped with autonomous vehicle technology, in front of Coventry Cathedral. 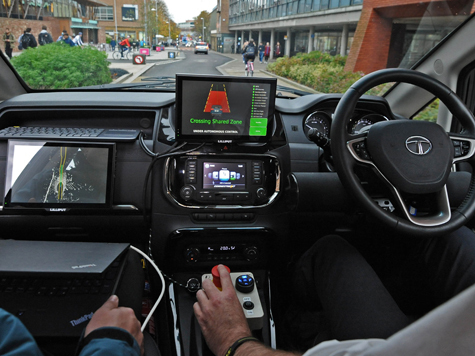 The cars began public road trialling on the streets of Coventry in November 2017, as part of the UK Autodrive project – with all three manufacturers collaborating on the connected car features, whilst Jaguar Land Rover and TMETC separately develop their autonomous vehicle technology. 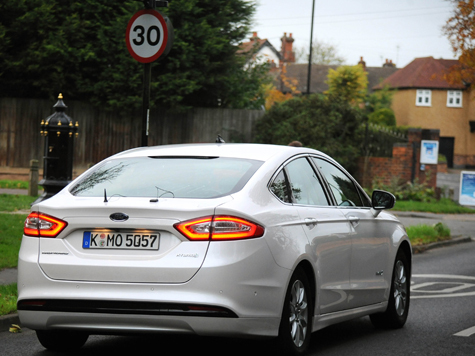 A Ford vehicle equipped with connected car technology passes a speed limit sign as part of an in-vehicle signage demonstration during public road trials on the streets of Coventry in November 2017. 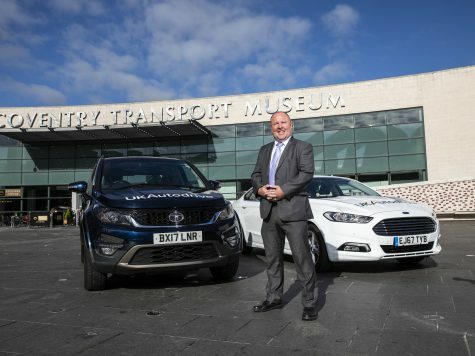 Ford are collaboratively trialling connected car technology alongside Jaguar Land Rover and Tata Motors European Technical Centre (TMETC) as part of the UK Autodrive project – in which Jaguar Land Rover and TMETC are also trialling autonomous vehicle technology. 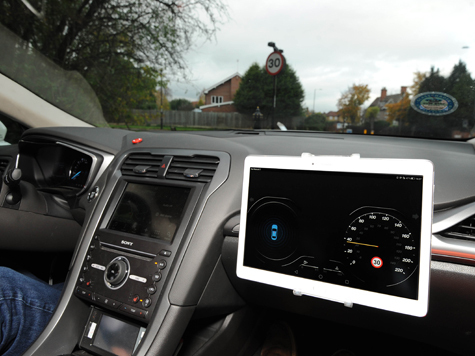 A Ford vehicle equipped with connected car technology displays a change of speed limit alert during public road trials on the streets of Coventry in November 2017. 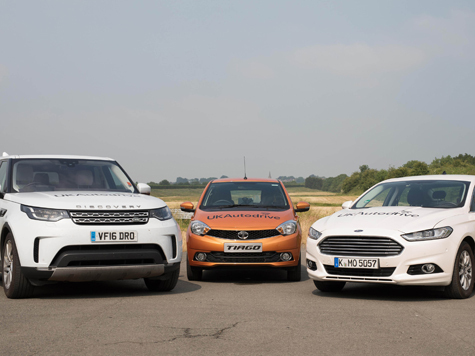 Ford are collaboratively trialling connected car technology alongside Jaguar Land Rover and Tata Motors European Technical Centre (TMETC) as part of the UK Autodrive project – in which Jaguar Land Rover and TMETC are also trialling autonomous vehicle technology. 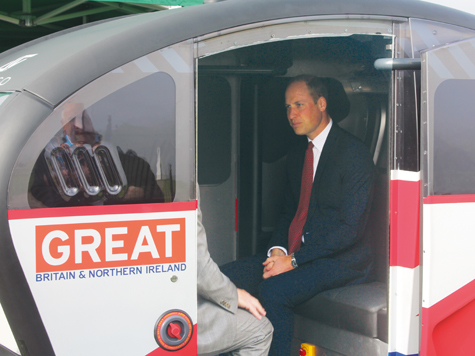 Prince William, Duke of Cambridge, is shown a self-driving ‘pod’ vehicle during an official visit to Milton Keynes on 26th September, 2017. 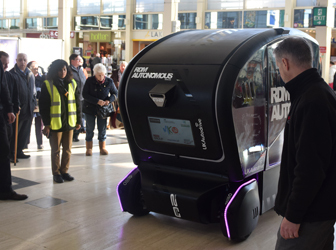 The pods are being trialled in pedestrianised areas of the Buckinghamshire town as part of the UK Autodrive project. 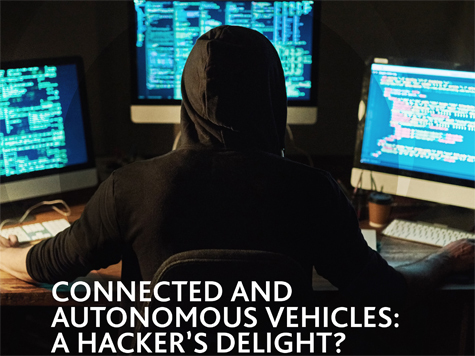 UK Autodrive white paper: CAV: A Hacker’s Delight? 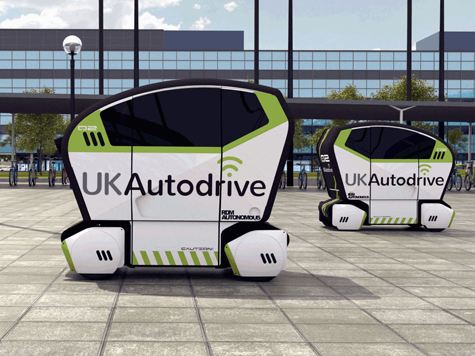 Executive Summary of key findings from first UK Autodrive Public Attitudes Survey into self-driving vehicles. 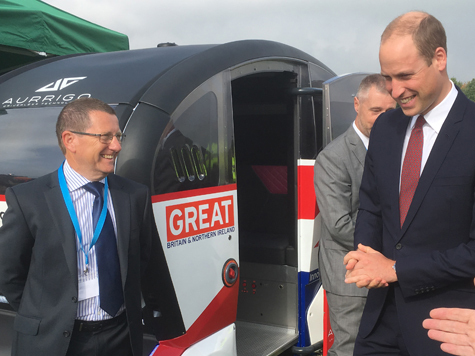 The survey, which was published on 8th August, 2017, was carried out by Cambridge University and completed by 2,850 UK residents. 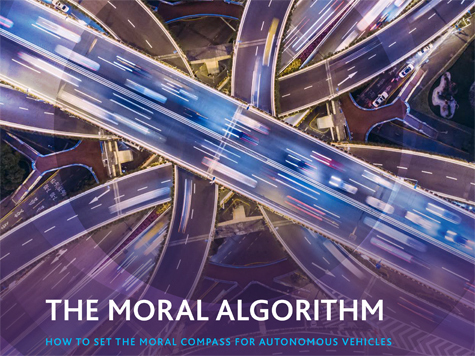 Imagery contained within report for editorial usage only. Not for commercial use. 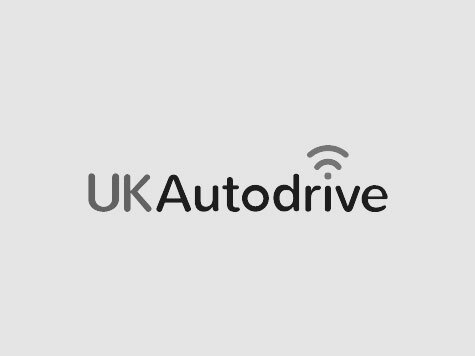 Please credit images and report findings to UK Autodrive. 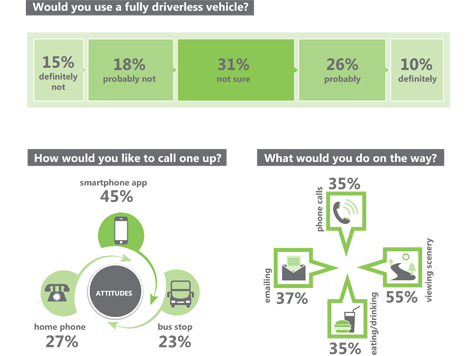 Infographic showing key findings from UK Autodrive survey published on 8th August 2017, measuring UK public attitudes towards self-driving vehicles. 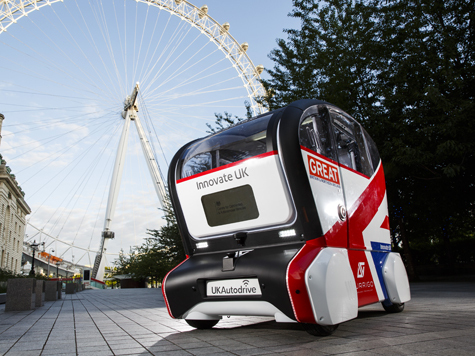 A self-driving ‘pod’ vehicle built by UK Autodrive partners RDM Group on display in front of the London Eye to promote an event organised by the international automotive engineers’ network FISITA on 13th July 2017. 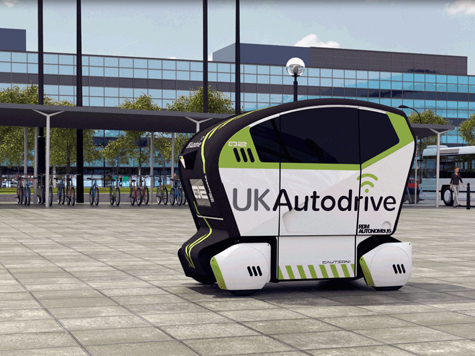 Up to 40 of the pods will be trialled in central Milton Keynes in 2017-2018 as part of the UK Autodrive programme. 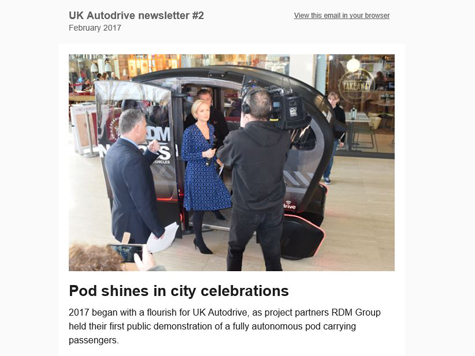 A self-driving ‘pod’ vehicle built by UK Autodrive partners RDM Group on display in central London to promote an event organised by the international automotive engineers’ network FISITA on 13th July 2017. 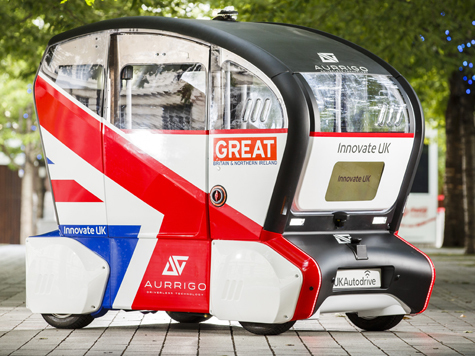 Up to 40 of the pods will be trialled in central Milton Keynes in 2017-2018 as part of the UK Autodrive programme. 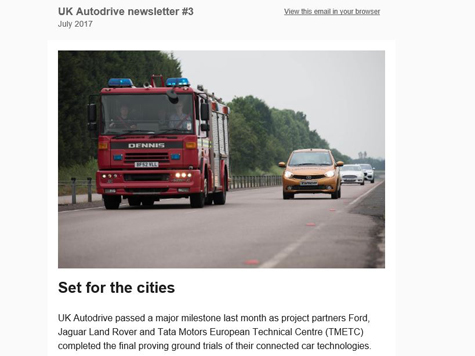 UK Autodrive newsletter #3: July 2017. 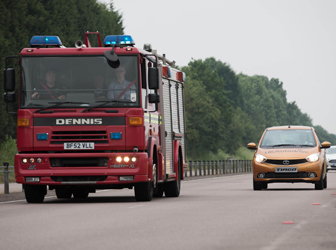 A West Midlands Fire Service engine overtakes a line of connected cars equipped with research technology that alerts the driver when an emergency vehicle is approaching as well as the direction it is travelling from, during a UK Autodrive project media demonstration at the HORIBA MIRA proving ground in Nuneaton, Warwickshire. Issue date: Thursday June 22, 2017. Editorial use only. Not for commercial use. 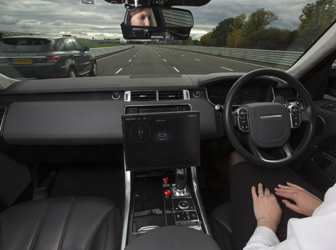 Image credit: UK Autodrive, David Parry/PA Wire. 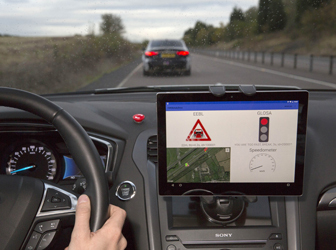 A connected Ford car receives a warning signal of a possible collision as another connected vehicle passes by a junction up ahead, during a UK Autodrive project media demonstration at the HORIBA MIRA proving ground in Nuneaton, Warwickshire. Issue date: Thursday June 22, 2017. 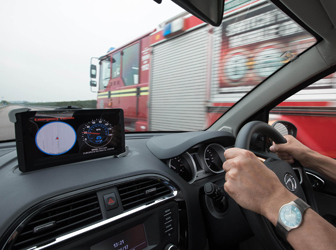 A connected vehicle (a Jaguar Land Rover F-PACE) displays an on-screen advisory as it receives a signal on approach to a change of speed limit area, as part of a UK Autodrive technology demonstration at the HOIRBA MIRA proving ground in Nuneaton. 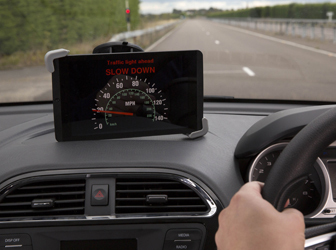 The in-vehicle signage (IVS) technology is intended to provide advance warnings and reduce driver reliance on seeing physical road-side signs. Issue date: Thursday June 22, 2017. 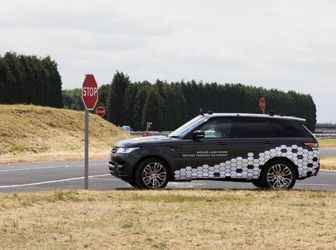 Amy Rimmer, Research Lead Engineer for Autonomous Vehicle Control at Jaguar Land Rover, showcases a prototype vehicle equipped with the company’s “Autonomous Urban Drive” research technology during a media demonstration at the HORIBA MIRA proving ground in Nuneaton, Warwickshire. Issue date: Thursday June 22, 2017. 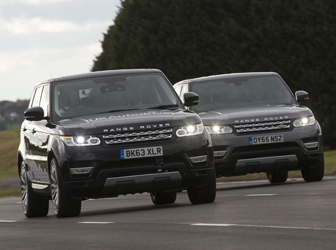 Connected car research vehicles belonging to Jaguar Land Rover, Tata Motors European Technical Centre and Ford line-up during a media demonstration at the HORIBA MIRA proving ground in Nuneaton, Warwickshire. Issue date: Thursday June 22, 2017. 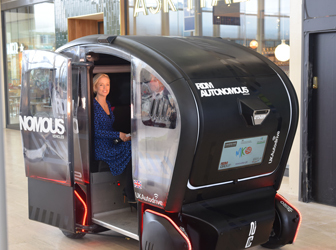 TV presenter Becky Jago takes a ride in a prototype self-driving pod built by UK Autodrive partners RDM Group as part of a technology demonstration to mark the 50th anniversary of Milton Keynes. 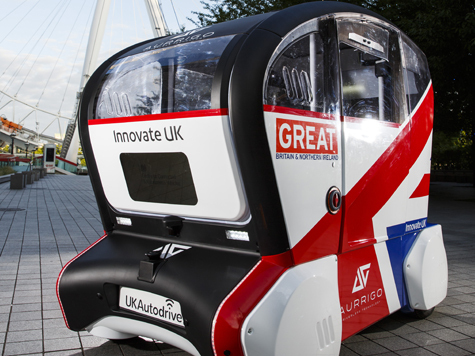 Up to 40 self-driving pods are due to be trialled in the Buckinghamshire town as part of the UK Autodrive project. 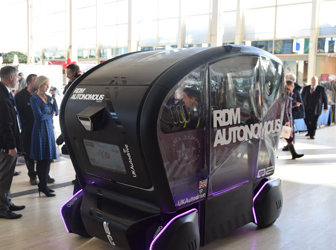 A prototype self-driving pod built by UK Autodrive partners RDM Group takes part in a technology demonstration to mark the 50th anniversary of Milton Keynes. 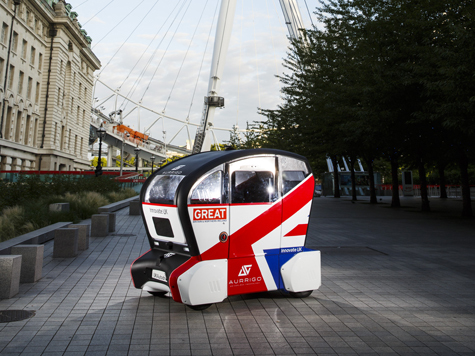 Up to 40 self-driving pods are due to be trialled in the Buckinghamshire town as part of the UK Autodrive project. 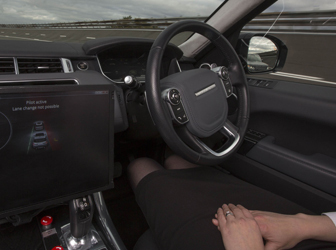 Amy Rimmer, Research Engineer at Jaguar Land Rover, demonstrates the car manufacturer’s Advanced Highway Assist in a RangeRover, which drives the vehicle, overtakes and can detect vehicles in the blind spot, during the first demonstrations of the UK Autodrive Project at the HORIBA MIRA Proving Ground in Nuneaton, Warwickshire. Picture date: Thursday October 20th, 2016. Editorial use only. Not for commercial use. 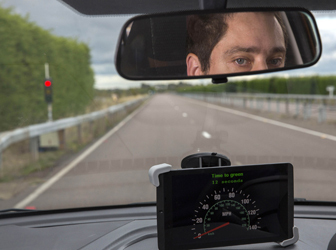 Image credit: UK Autodrive, Fabio De Paola/PA Wire. 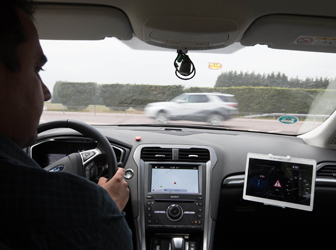 A Ford vehicle demonstrates an Electronic Emergency Brake Light (EEBL) feature during the first demonstrations of the UK Autodrive Project at the HORIBA MIRA Proving Ground in Nuneaton, Warwickshire. 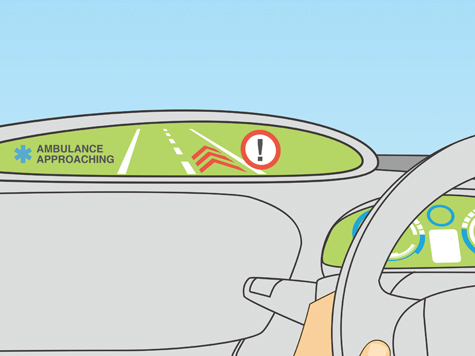 The feature uses connected car technology to warn drivers when another vehicle up ahead has braked severely. Picture date: Thursday October 20th, 2016. 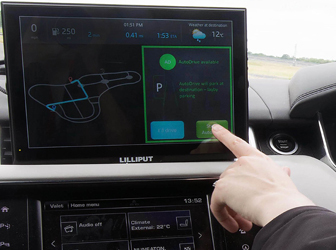 Chris Burbridge, Autonomous Driving Software Engineer for Tata Motors European Technical Centre, demonstrates a Green Light Optimal Speed Advisory (GLOSA) feature, which enables connected cars to receive information from traffic lights. 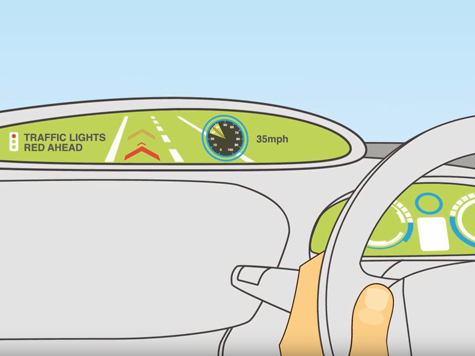 The system can then advise the driver as to the optimal speed for reaching the lights when they are on green. Picture date: Thursday October 20th, 2016. 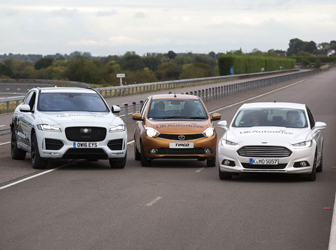 Jaguar Land Rover, Tata and Ford cars during the first demonstrations of the UK Autodrive Project at HORIBA MIRA Technology Park in Nuneaton, Warwickshire. Picture date: Thursday October 20th, 2016. 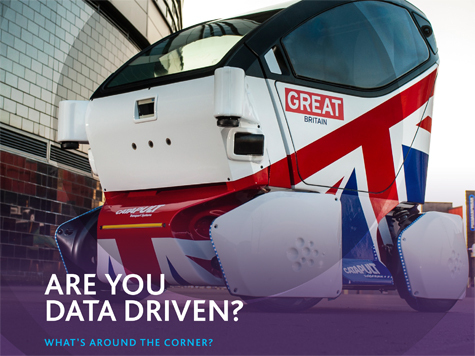 UK Autodrive white paper: Are you data driven? 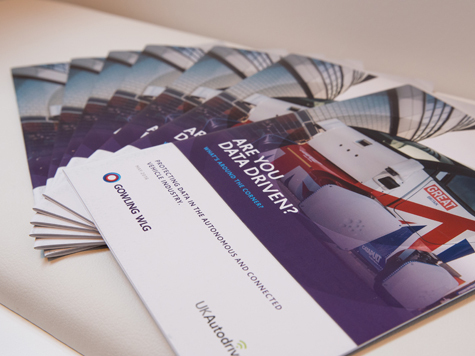 A photograph showing a stacked set of UK Autodrive’s first “white paper” report published by UK Autodrive project members Gowling WLG. 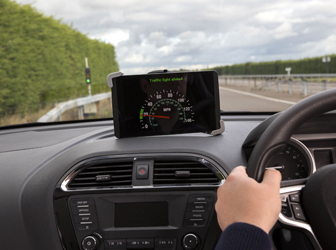 The report, which examined the data privacy challenges for connected and autonomous vehicles, was launched at the Automechanika event at the NEC, Birmingham, on June 7th, 2016. 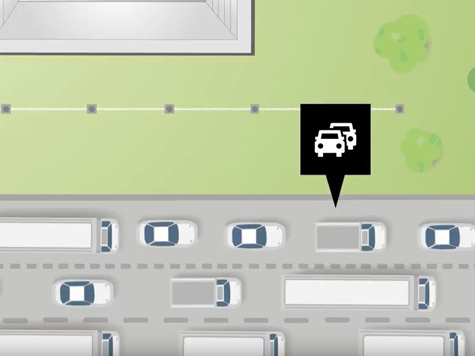 A still image from a UK Autodrive project animation film depicting one of the connected car features being trialled on UK roads. 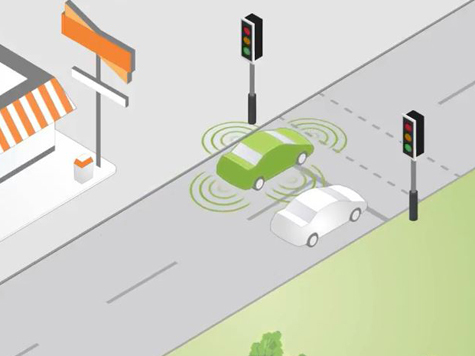 The Intersection Collision Warning (ICW) uses connected car technology to alert drivers when there is a high probability of a collision. 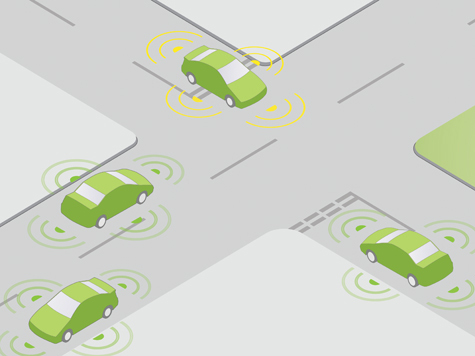 A still image from a UK Autodrive project animation film depicting one of the connected car features being trialled on UK roads. 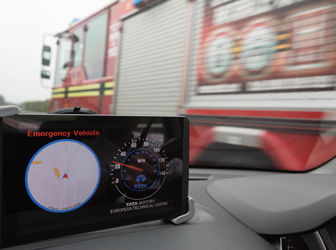 The Emergency Vehicle Warning (EVW) feature alerts drivers when an emergency vehicle is approaching and also indicates the direction it is coming from so that the driver can prepare to give way if necessary. 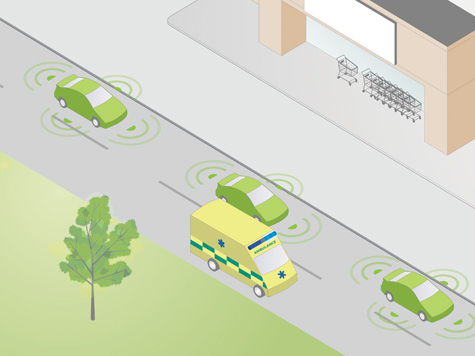 A still image from a UK Autodrive project animation film depicting one of the connected car features being trialled on UK roads. 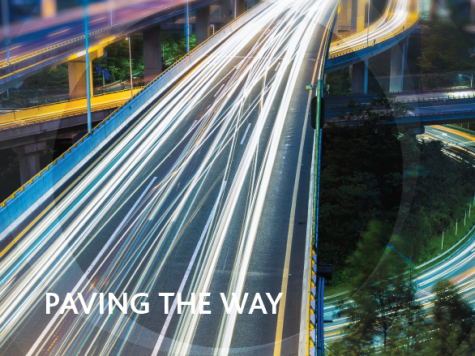 The Green Light Optimal Speed Advisory (GLOSA) feature uses cars that can receive information from traffic lights to inform drivers of the optimal speed that would allow them to reach the lights when they are on green. 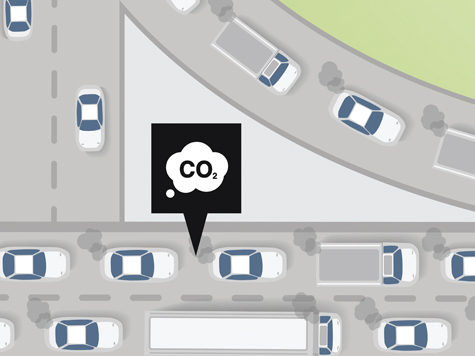 A still from a UK Autodrive project animation film depicting traffic congestion. 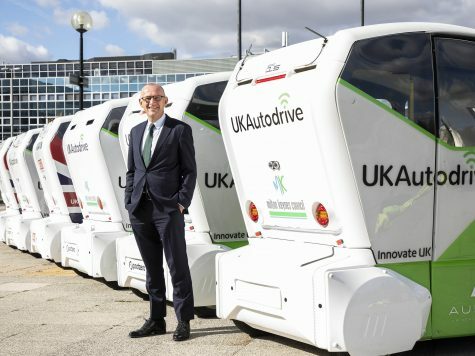 The UK Autodrive project is trialling connected and autonomous vehicles (CAV) on UK roads, and also modelling the impact that the widespread adoption of CAVs could have on future traffic levels. 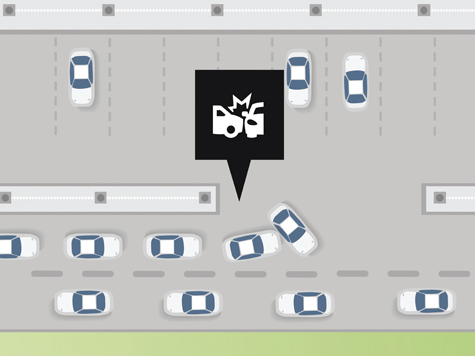 A still from a UK Autodrive project animation film depicting a traffic accident. 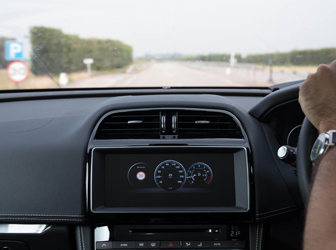 The UK Autodrive project is trialling connected and autonomous vehicles (CAV) on UK roads, with road safety improvements considered one of the main advantages that the technology could bring. 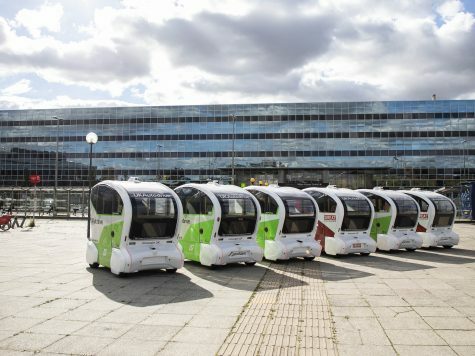 A computer-generated still image from a UK Autodrive project animation film showing two self-driving pods outside Milton Keynes Central train station. 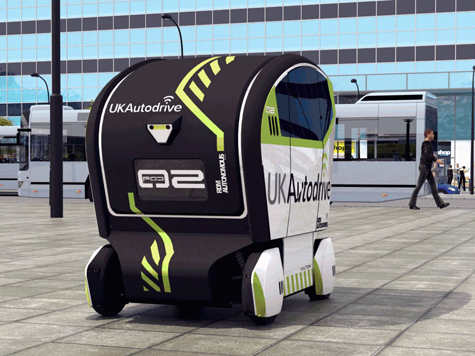 A computer-generated still image from a UK Autodrive project animation film showing a self-driving pod outside Milton Keynes Central train station. 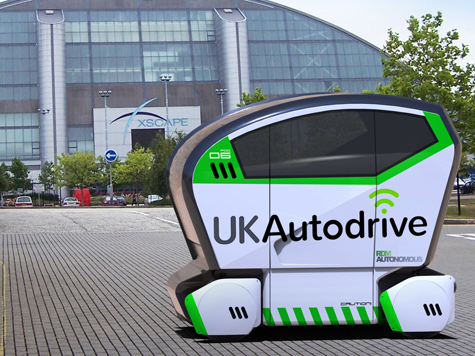 A computer-generated image showing a self-driving RDM Group pod vehicle in UK Autodrive livery in front of the Xscape leisure & retail centre in Milton Keynes. To have this document sent to your inbox, please provide your name and email below.